If ever you just was given your first in-car GPS, you're in good company. Sales are booming, and for good reason-- price tags have reduced, and functionality and convenience have greatly improved dramatically over the past couple years. DIRECTION FINDER menus are so natural that you can just power up and go, however you'll get a whole lot more from your DIRECTION FINDER, and travel a lot more safely and securely if you spend a little bit of time on set-up and function previews prior to you hit the road. Your DIRECTION FINDER comes with a windscreen mounting bracket with suction cup, and more than likely, a "dash disk" as well. The dashboard disk has an adhesive support which allows it to be secured to a flush, smooth dash area. This will accept the suction cup as well, in case you don't intend to install the bracket on the windscreen. Take a few moments to become familiar with the bracket-- several have adjustment nuts, and others have basic friction joints to align the GPS position. Get to know how to mount and dismount the GPS from the bracket. 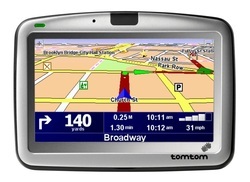 Your DIRECTION FINDER may also include an electricity cable that linked to your motor vehicle's power port, and can have a USB cord for connectivity to your computer. More expensive designs with traffic checking and evasion features may have a traffic receiver that gets FM traffic signals. Countless models also include a Cd Disk that features the full-length guidebook and perhaps software for interfacing your DIRECTION FINDER with your laptop and on-line services and updates. The very first time you power up your DIRECTION FINDER, you will likely be asked to set up your true time zone. You may also be prompted to opt in or out of password protection. 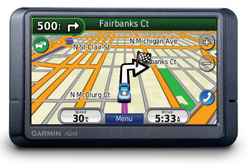 Password protection is in place primarily to safeguard your own personal information and facts if your GPS is thieved. It's annoying to enter a password or PIN whenever you start your DIRECTION FINDER, therefore factor this into your choice. 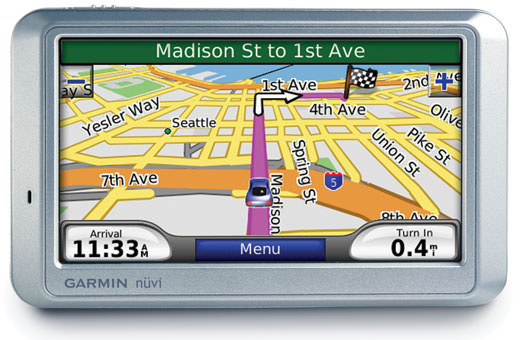 Many GPS units don't require a password or PIN at start-up when the gadget is launched a pre-selected "safe" location, such as the house address, which is a cool feature. You'll get far more from your DIRECTION FINDER and drive more safely and securely if you get to know the unit's menu system before you drive. Always keep your quick-start guide handy as you explore. Set your home address, to make sure that your "home" tab works (the home button directs you house from wherever you are positioned, a great feature). Be aware of exactly how to enter places. Study how to rise and also decrease the audio volume. Check out ways to change between day and night modes (many designs do this automatically accordion to a light sensor). If your GPS has Bluetooth cordless connection and hands-free phone features, today is the right time to pair your smartphone and become used to the calling functions. People are a safer driver with a DIRECTION FINDER on board, if you abide by some self-explanatory guidelines and know what not to do while you operating a vehicle. One last forewarning before you drive: Remove your GPS and its windscreen suction mount from your windscreen and store it out of site every time you park in a common place. Sadly, DIRECTION FINDER gadgets are favourite theft items. An unit that gives you voice directions is perhaps the best idea, however you may would like to figure out whether you can switch the speech off before you buy. Consider quality-- you only want to have to buy and install this once, and you do not want it to break down halfway through a very long journey. Buy the very best you can afford. Not all of the in-car GPS devices offer real time tracking, where the device is frequently updated on your position-- ensure you get a system that does provide this. In the long run you need an equipment which you find easy and simple to use. Otherwise you'll never use it and all the money you paid on it will have been lost. 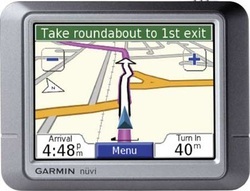 This piece of modern technology may be a blessing in those dark empty road in the middle of nowhere situations, but see to it that you do not end up with an in-car GPS device that fills you with fear just at the consideration of switching it on.